Today we’re answering a question from one of my followers on YouTube. +PredeKing wrote: “I would appreciate tips on inexpensive ways to market services to new clients in a specific region.” Well, that’s a big question, but let me give you a few ideas. When you talk about marketing and getting your name out there, there are 3 basic categories – owned, earned, and paid. Owned is stuff like your website, which you control; earned is stuff like media attention, which you probably had to work to get but you don’t directly pay for; paid is advertising – you purchase time in front of potential customers. So, let’s give one example of each type that you can utilize inexpensively to target customers in a specific region. First up – paid. I’m actually going to give you two ideas here, the first being online advertising. 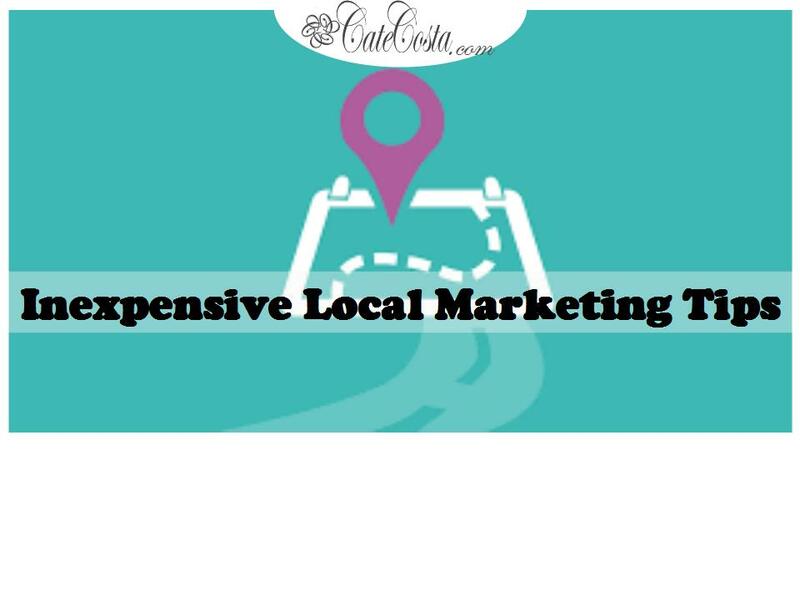 With the ability to target Facebook and Google ads all the way down to people in a specific zip code, you can definitely target just a specific region using this type of advertising. While it may take a bit of experimenting to get the right ad, this method of marketing to your clients should definitely fall into the inexpensive category because you can test it out with very little cash and it’s easy to track the ROI so you should be able to tell pretty quickly if you’re making money. If the ads bring in more than you spend on them, you can go ahead and boost your investment. The second idea for inexpensive paid, local, advertising is to sponsor some community events or youth sports teams. Now, not knowing how far along your business is, the few hundred to few thousand dollars this might cost may not be what you consider inexpensive, but if you’re a bit more established it might be, so I wanted to throw it out there. Next up let’s talk about earned media. Earned media is actually a lot easier to get when you do want to target just a specific area because your local news outlets are hungrier for stories to cover because they don’t have the entire country’s or world’s happenings to pull from and they’re looking for a local connection, so you’re more likely to get chosen. If you want to get some earned media in your local area, do some research about a few of the most popular local newspapers, radio stations, and TV stations, get to know the reporters and what they write about, find a way to make whatever you offer relevant, and then let the reporters know. Now, you’re not going to be able to just talk a reporter into doing a piece all about you and your business, which would basically be a free advertisement, but there are ways to get coverage. Try pulling together an industry report with data that would be of interest to the audience or hosting a charity event that benefits the local community and asking the press to cover it, or offer yourself up as an expert commentator for stories related to a particular topic. If you’re persistent, you’ll be able to get some coverage. Finally, we have owned. When you’re targeting clients only a specific area, you should be sure that all of your owned marketing materials cater to that region. If there is something special and unique about the area you’re targeting, give it a nod in your marketing materials. If your area just experienced any big events or changes, discuss how your offering is being sensitive to the fall-out. Even more hyper-focused, maybe offer a discount to those only in the specific area you’re targeting. For example, let’s say you have a lawn care company and you lose a bunch of money having your crew drive all over town all of the time and go back and forth this way and that way – once you book a job in a particular neighborhood, send something out to the other homeowners in the neighborhood saying you’ll give them a discount if they also sign up for lawncare on the day you’ll be in that neighborhood anyway. That way, you bring in some customers with the discount but you make up for it with the savings of not having your crew traveling all over town. Those are just a few ideas for how to market to potential customers in a specific region without spending a ton of money. Please feel free to share any others you have in the comments below.